We are a family owned local company, helping the people of Los Angeles County for over 20 years. Our 100% job success rate is testimony enough to our dedication and perseverance in remaining your faithful plumbing service. If you have any problems with your sewer system or you need a checkup, call us. At Rooter Drain Experts, we provide friendly service, and you will have complete insight into your problem as our experts advise you on the best possible efficient and affordable solution. The services we provide are top of the line and the latest in sewer pipe repair and installment technology, so you can rest easy as we deal with all of your sewer problems. Why is doing a yearly checkup so important? Los Angeles County is at the center of entertainment and a populated place. During the winter, the county can get more than 15 inches of rain. It is imperative that you have a working sewer system with no possibility of clogging before winter comes to prevent water damage. As technology advanced, our services became safer, better, and more affordable. We use every innovation available to the public in our services and we offer our clients the best solutions at the most affordable prices. Sewer camera inspection is our main diagnostic service. Nothing can be more accurate than a live feed from the inside of your sewer pipes. Our technician will use your standard sewer entrance to insert a waterproof camera and control it as it moves through your pipes. You will view the feed together with our representative as we both assess the situation and decide on the best course of action. Electronic Pipe Locating is useful if you’ve just moved into a new house or an apartment and you need something fixed or checked. Without breaking any walls or making a mess, we can tell you where your pipes are and which way they go. The Hydro Jetter is our favorite pipe cleaning tool. With a 4,000 psi (pound-force per square inch) we will use its water blast to clean any debris stuck in your sewer pipes. When we finish, your pipes will be as good as new. Our Pipe Lining system is something we are very proud of. We use a chemical mixture and pressurize it into your broken pipes until it lines the insides. After the mixture cures, we remove the sleeve and you get a brand new pipe inside the old one. 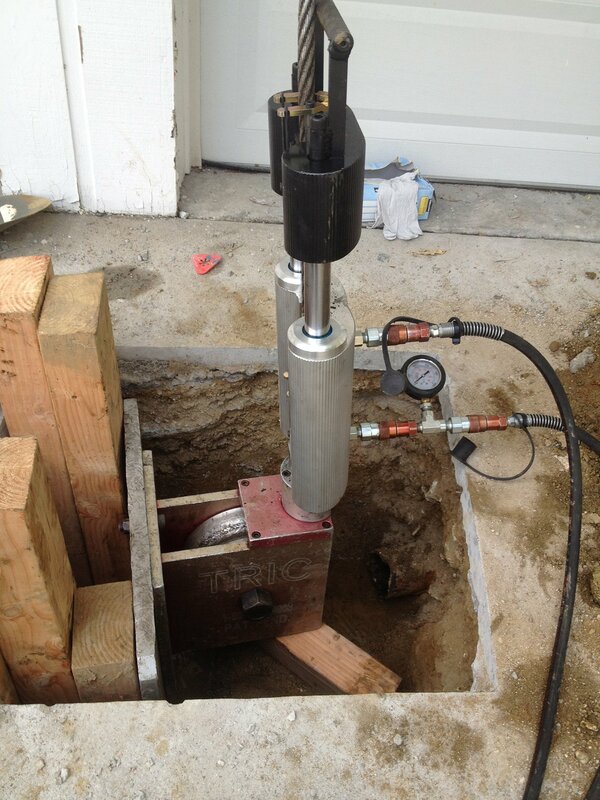 We do this without digging trenches, only using your existing sewer openings. If you have none, then we will make small ones, with a minimum amount of digging. The Rooter Drain Expert is the right choice for you, so call us today at 800 929 1562.